INTERMEDIATE LEVEL: Financial literacy is a key skill for all directors and committee members and is essential in fulfilling your legal and fiduciary duties and responsibilities to the club/s you govern. As a director you are responsible for reviewing, analysing and interpreting the management accounts presented at board meetings and making decisions as to how to improve the club's financial performance and position. You are also reponsible for signing off the year end financial statements of the club. 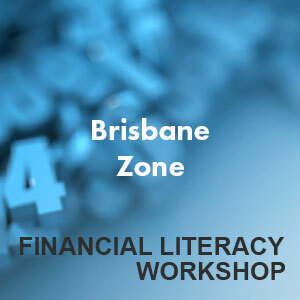 Book in now to ensure you have the correct level of financial literacy required to hold your position. A commitment to attend fee of $200 per person will be charged and must be paid before the event. This fee will be refunded within 14 days after the event if attended. In the case of non attendance this fee is forfeited. working in groups, participants will apply this step-by-step methodology to a real Queensland Club and draw conclusions about the club's financial performance, financial position and cash flows. participants will learn how to use financial ratios to analyse the performance of a listed public company and then apply these principles to analyzing the financial performance of a real Queensland club. Participants are strongly encouraged to bring their own club's most recent set of audited financial statements and apply the abovementioned step-by-step methodology to analyse and draw conclusions as to the financial performance and financial position of their own club. After graduating from his undergraduate degree, Stephen worked for several years as a senior accountant and management consultant with Touche Ross & Co and KPMG in Brisbane within their management, consultancy and international business services divisions. He is currently employed as a full-time lecturer in the School of Accountancy at QUT teaching a range of undergraduate and postgraduate financial accounting and law subjects. Stephen has also been heavily involved in the establishment of the new Accountancy Capstone unit and is a regular presenter for both the Institute of Chartered Accountants and referred journal articles. He has provided consultancy services to several Queensland Government Departments, chartered accountancy firms and listed Australian companies on a range of taxation and IFRS issues. He also presents the Financial Literacy Component for directors courses at the Australian Institute of Company Directors.